UNIVERSAL MAKING WAVES WITH "NAMOR : THE SUB-MARINER"
Screenwriter David Self continues to develop "NAMOR : THE SUB-MARINER" for Marvel Studios Avi Arad and Kevin Misher's Misher Films. Universal Pictures plans to follow up their comic book feature "HULK" with the adventures of Marvel's Atlantean. Created by Bill Everett in 1939, 'Prince Namor the Sub-Mariner' is Marvel's first super hero character. He carried his own successful comic book series for 42 issues, as well as numerous guest star appearances in other comics throughout the 1940's. Namor was re-introduced to a new generation in the 1960's appearing in Marvel's "Fantastic Four" #4, Marvel's "Tales To Astonish" (approx. 30 issues), his own title (approx. 70 issues) and again (approx. 50 more issues) in another follow-up series. 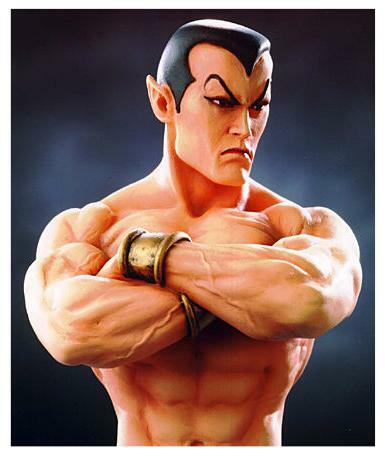 Namor is a mutant hybrid of Homo Sapiens and 'Homo Mermanus'. He is the son of 'Leonard McKenzie', Captain of a U.S. Ice Breaker and 'Princess Fen' of the 'Royal House of Atlantis'. 'Namor McKenzie' (also known as "Sub-Mariner") is endowed with super strength and endurance, telepathic power over sea creatures, the ability to breathe both in and out of water and the power of flight, via small wings on his ankles. He fought with the Allies in both the Atlantic and Pacific during World War II, has been 'King of Atlantis' and CEO of 'Oracle Inc.', also exiled from his homeland as a traitor and criminal. His relatives included 'Dorma' (wife, deceased), 'Marrina' (wife, deceased), 'Namora' (cousin, deceased) and 'Namorita' (second cousin, deceased). The soul-searching Namor, torn between his two peoples, will either work to help the human race, or rebel against it if betrayed. FOX GETS READY TO LAUNCH "THE FANTASTIC FOUR"
Marvel topper Avi Arad confirms that 20th Century Fox is close to greenlighting Marvel's "THE FANTASTIC FOUR", to be directed by Peyton "Bring It On" Reed for a possible spring start. 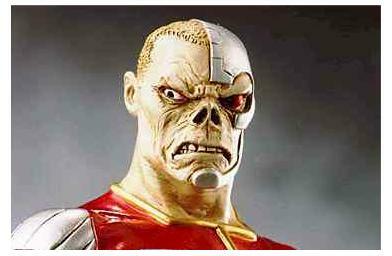 The feature had been stalled in development at the studio for 5 years due to a SFX-heavy budget north of $200 million. The script by Doug Petrie blends "A Hard Days Night" celebrity sensibility into the sci-fi adventures of Reed Richards ('Mr. Fantastic'), his wife Susan Storm ('The Invisible Girl'), her brother Johnny Storm ('The Human Torch') and Reed's best friend Benjamin Grimm ('The Thing'). The origin story-line of the first FF comic book has scientist Richards and fiancee Susan, convince former bomber pilot Grimm to pilot an experimental rocket, designed by Richards. Grimm's gut feelings warn him against the mission, but Susan calls him a coward in front of Richards. Grimm reluctantly agrees to man the controls with Susan's hot-shot brother Johnny rounding out the foursome. Unfortunately the rocket passes through a radiation belt and the rays transform the group forever. Reed develops the power of elasticity, Susan learns how to turn invisible and Johnny controls fire. But Grimm becomes a super-strong, orange-rocked, blue-eyed 'Thing' and blames Richards for his permanent, hideous transformation. In Petrie's screenplay, arch-villain 'Doctor Doom' accompanies the four on their fateful flight. It is not know whether Petrie's take will be the final draft version for the film. Arad said George Clooney will be his first choice to play FF team leader Richards with Sharon Stone as Sue Storm. 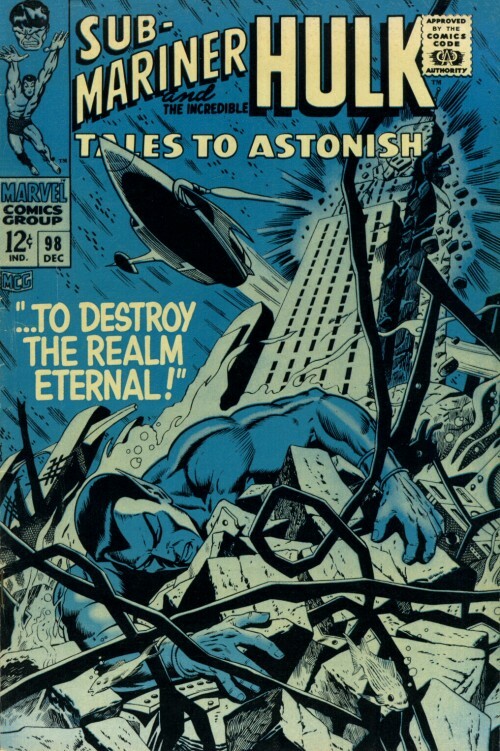 A near-mint 1961 copy of "THE FANTASTIC FOUR" #1 is currently valued at $24,000. "We're at the point where, finally, our work is being recognized as literature," Marvel topper Avi Arad said, about his comic book company's ambitions to continue mounting features based on Marvel's 4,700 proprietary characters. The 60-year old Marvel approach of bringing together unique teams on distinct comic book titles, is also paying off in critically and commercially successful features. The Sony-produced "SPIDER-MAN" is now No. 5 on the list of top grossing films of all time with New Line's "BLADE II" also charting big numbers. This year, in addition to Fox/Regency's "DAREDEVIL", Marvel ushers in the release of Universal's Incredible "HULK" and Fox' "X-MEN" sequel "X2". Arad said 2004 will be even busier, with four films being considered for the Marvel release slate. In addition to Tribune's renewed "MUTANT X" television series and the upcoming Sony sequel "SPIDER-MAN II", Marvel is behind Artisan's plans to release 'Frank Castle "THE PUNISHER", directed by Jonathan Hensleigh/screenplay by Michael "The Player" Tolkien, 1940's man-phibian action star Prince "NAMOR : THE SUB-MARINER" for Universal, Johnny Blaze as the cursed "GHOST RIDER" for Sony, the horror "WEREWOLF BY NIGHT" and pre-terminator cyborg "DEATHLOK" the Demolisher, currently in development at Paramount. "It's about having the best and brightest in entertainment wanting to take part in your projects. That's what it takes, " Arad said. "Without the best, you can't make these movies." Arad also wants to cast George Clooney as The Fantastic Four's brilliant leader 'Mr. Fantastic'. But the most interesting suggestion has been Tom Cruise playing "IRON MAN" for New Line. "I would love him for 'Iron Man'," Arad said. "If he wanted it, he could definitely be my 'Tony Stark' ..."
Arad's "IRON MAN" short list also includes Leonardo DiCaprio. Arad has also announced that Marvel's swamp monster title "MAN-THING" will begin shooting, for Artisan, within the next few months in New Orleans. HURD MENTALITY : "THE HULK" "THE PUNISHER" AND "THE INTERMAN"
Paramount Pictures has paid mid-six figures to option rights to "THE INTERMAN" for producer Gale Anne Hurd's Valhalla Motion Pictures. Based on "The Interman" 'graphic novel' comic book, by illustrator/author Jeff Parker, premise revolves around 'Interman', an experimental product nurtured in a Cold War laboratory, who is able to rewrite his DNA and instantly 'adapt' to his surroundings. On the run from those who would erase all evidence of his existence, the Interman discovers there are also others like him. Valhalla Senior VP production Jeff Davidson brought the project into Valhalla and will co-produce with Hurd. Ford Lytle Gilmore of production/management firm Illuminati Entertainment also will co-produce. Valhalla is currently in post-production on Ang Lee's "The Hulk" for Universal and Marvel, and is in pre-production on Marvel property "The Punisher" for Artisan Entertainment. Development continues on "Aeon Flux" with MTV. Marvel's "IRON MAN" is being developed as a feature for New Line Cinema. Marvel topper Avi Arad says that if Tom Cruise wants the lead, the part is his. New Line has previously worked with Marvel on the "Blade" franchise and looks to turn "IRON MAN" into a tentpole for its 2005 slate. The studio acquired the property in 2000 and is developing a script by Alfred Gough/Miles Millar, creators of WB's "Smallville" and screenwriters of "Shanghai Knights"/"Shanghai Noon." The first Marvel "IRON MAN" comic book debuted in 1962, featuring 'Tony Stark', inventor and owner of 'Stark Enterprises'. Stark's clandestine espionage work leads to an accident that forces him to go on life support in the form of a high-tech bodysuit. 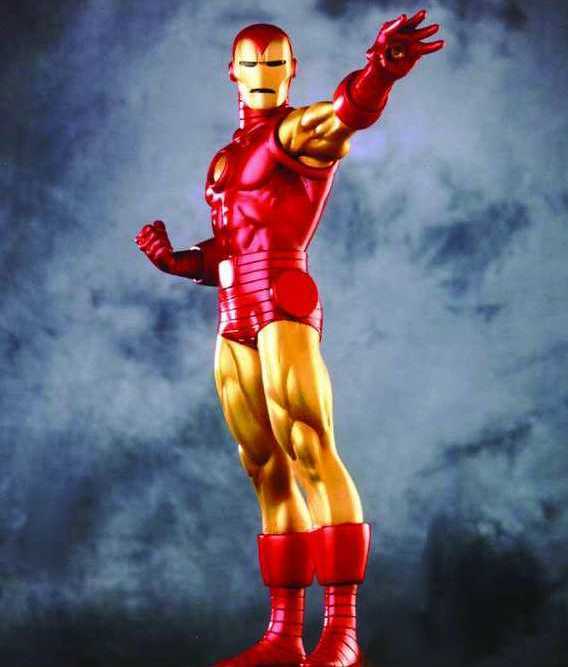 This also gives him the alternate identity "IRON MAN".